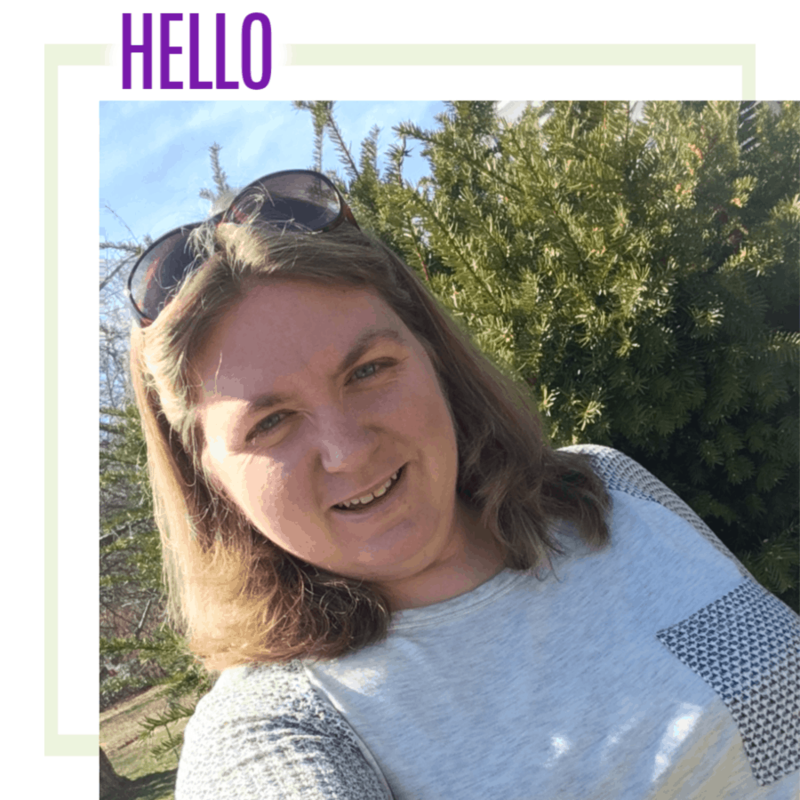 I have fond memories of visiting Hersheypark when I was younger, so I was super excited to take the boys when we were in the Hershey area a couple of weeks ago. 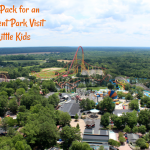 Of course, Hersheypark is great for the big kids, teens, and adults that love all those crazy rollercoasters, but that’s not exactly in the plans when you take the little kids. 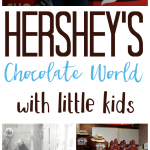 I want to share some things about our trip with our little ones (Charlie was almost 5 and Owen is 2.5) and give you some tips to make your Hersheypark visit a hit with your little kids. First things first, with little kids, we have to be extra mindful of the safety aspect of everything. As soon as we entered the park, we headed straight to the Family Finder station. It’s right in front of you, next to Hospitality Services. I was so impressed with this Family Finder service! I put the child’s name, parent’s name, and a phone number on the inside of the wristband. The park employee then put the wristband on each child. While she was doing this though, she explained to Charlie that if he got lost and couldn’t find Mommy or Daddy that he should go to someone with a jacket on just like hers or someone working a ride. They would use that wristband to help him find us. This is a huge win for me! If you have little ones, you know how big this is. There is a Lost Children’s Corral located in the Family Health & Services Center and the Lost Children’s Cove located in The Boardwalk area next to Waverider. In the event your child is lost, notify the nearest Security Officer. While my instincts say “run to the best coasters first”, my boys aren’t big enough to do that yet. So, if you’re visiting Hersheypark with little kids, you need to find the rides they can actually ride! Official Measurement Stations are located at all Guest Services locations and in Founder’s Way. We actually measured the boys while we were waiting for the shuttle at Hershey Lodge. The angle is a little off in this picture, but Owen is a Miniatures and Charlie is a Reese’s. At each ride’s entrance, you’ll be able to see which candy brand can ride that ride. Your little kids are most likely Hershey’s Miniatures, Hershey’s Kisses, or Reese’s. Although Owen could not ride every ride that we came across, there are plenty he was able to ride. The park is big, like really big. We did not make it to every corner of the park, but if you’re looking for several rides for the little kids to ride at one spot, I suggest Founder’s Way and Kissing Tower Hill. Some of our favorite rides of the day are the ones we all four rode together: Kissing Tower and Dry Gulch Railroad. The train ride was a big hit with everyone! It’s a nice little ride to sit and relax all together. Sunoco Classic Cars and Sunoco Speedway were awesome! Because they’re together, they were perfect for us to switch off who rode with mom and who rode with dad. I was a little concerned fitting behind the steering wheel in the speedway car with Owen (I’m not exactly small), but I was happy to see that I could push the pedal from the passenger side. If you’re looking for roller coasters that your little kids can ride, there are a few. Unfortunately, none for Hershey’s Miniatures, which makes Owen sad. But, he’s so close to being a Hershey’s Kiss and there are two for those: Trailblazer and Cocoa Cruiser. Reese’s are able to ride a couple more roller coasters. They can ride Trailblazer, Cocoa Cruiser, Comet, Laff Trakk, and the sooperdooperLooper. Charlie and I rode Comet together and I totally messed up the order of things. I somehow forgot how much different wooden coasters are. Comet is a bit rough, so I would not suggest starting with that one. After Comet, Charlie did not want to ride the sooperdooperLooper, which is actually a much smoother ride. There are so many dining options at Hersheypark, you will definitely not leave hungry! With little kids, I know they like to snack all day, so it’s nice to be able to pick up some french fries, chicken tenders, or fruit while on the move. The thing is though, little kids need some down time. 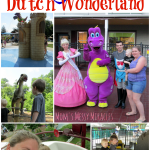 Hersheypark is full of exciting things and I know my kids needed a break. Most of the dining options at Hersheypark have seating available, but it was out-of-season cold during our Springtime in the Park visit. When we were entering the park, I noticed a full service restaurant (Hersheypark Place) and thought that would be the perfect place to warm up and seek a little down time. We did stop into Guest Services and purchased a Meal Ticket for our visit. I think this is an awesome deal and one I would definitely recommend. For $15, you receive an entrée, side, and a Souvenir Cup. I was going to buy a souvenir cup anyway because I think they’re the best deal at amusement parks: you buy it once, but then pay just $0.99 for each refill. Also, the meal ticket comes with two separate “coupons” for redemption, so you can redeem for your cup first thing in the day and then redeem for your entree and side later in the day when you want to grab a bite. There are also picnic sites located near the restrooms in the parking lot. This is another great way to get a break in and save some money. Other than one sealed water bottle per person, Hersheypark does not permit food or drink to be brought into the Park. ZooAmerica is INCLUDED in your one-price admission when you visit from within Hersheypark (just look for the ZooAmerica entrance signs in Kissing Tower Hill). If you’re not visiting Hersheypark, you can pay separately and you’ll enter through the Zoo’s street entrance. ZooAmerica, an 11-acre, walk-thru zoo, is open year-round. You can walk around and follow the path to learn about more than 200 animals from five regions of North America. We spent about an hour and a half walking through the zoo. With our little ones, they like to run and don’t like to spend too much time looking at the same thing, so your time spent here will vary depending on your kids. ZooAmerica has its own gift shop (near the Hersheypark entrance) and food service (seasonally) near the center of the zoo. The boys had a great time checking out all the animals and it was a nice break from all of the excitement and the hopping on and off rides at Hersheypark. Perfect for a little bit of a slow time after lunch. Nursing Area – There is a special area available in First Aid for nursing moms. Of course, you can nurse wherever you want, but we were never good at nursing on the move or with all the distractions of everything around us. A quiet, secluded place to pump or nurse always worked best for us. Lockers – There are lockers available if you need them. You can rent lockers by the day, a large locker for $20 and a regular for $15. This is a great place to keep jackets, gloves, a change of clothes, etc. for when you need them. Leaving the park – If you need to leave the park (maybe an afternoon nap), just make sure to have your hand stamped at the exit gates. Your ticket stubs are not valid for re-entry, but your hand stamp will work! Kiddie Swap Program – If you and your partner would like to ride height-restricted rides but your child is not tall enough to ride, let the attendant know that you would like to take advantage of the Kiddie Swap program. One parent may ride while the other stays with the child. At the conclusion of the initial ride, the parents may “swap” places. Similarly, if one parent has two children who meet the height restriction but must be accompanied by a responsible rider or who wish not to ride alone, the parent may ride with one child while the other child waits in an appropriate area of the ride. At the conclusion of the initial ride, the parent may remain on the ride while the children “swap” places. You can click here to purchase your tickets to Hersheypark. There are many options available and combo packs that you can buy to save you money. 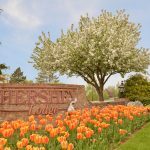 A great way to save is to stay at one of the Official Resorts of Hersheypark. We stayed at Hershey Lodge and really enjoyed the perks and convenience including the best price on Hersheypark tickets, a complimentary shuttle bus service to Hersheypark, and being able to use our room key as a credit card at many locations around the area including Hersheypark and ZooAmerica. All-in-all, we had a great day. It could have been a little warmer (it snowed the day before), but we dealt with it and were happy it was sunny! I can’t wait to go back over the summer when we can check out The Boardwalk at Hersheypark. 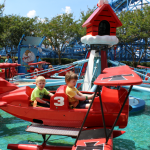 Have you been to Hersheypark with your little kids? Great tips! We have not been there yet but hoping this summer.